Do you need some motivation to set new goals for the year? Or has your progress plateaued on a long-term goal? We’re here to help. It’s common to have business reviews; we’re used to the idea of appraisals or performance reviews throughout the year at work. But, what about reviewing our own lives? Is this something we should actively be doing? Last week we heard from some members of the Life Coach Directory team about their goals, and whether they were on-track to reach them this year. We wanted to find out more about goal setting and tracking progress, so we spoke to Life Coach Directory member Liam Collins. How important is goal setting today? 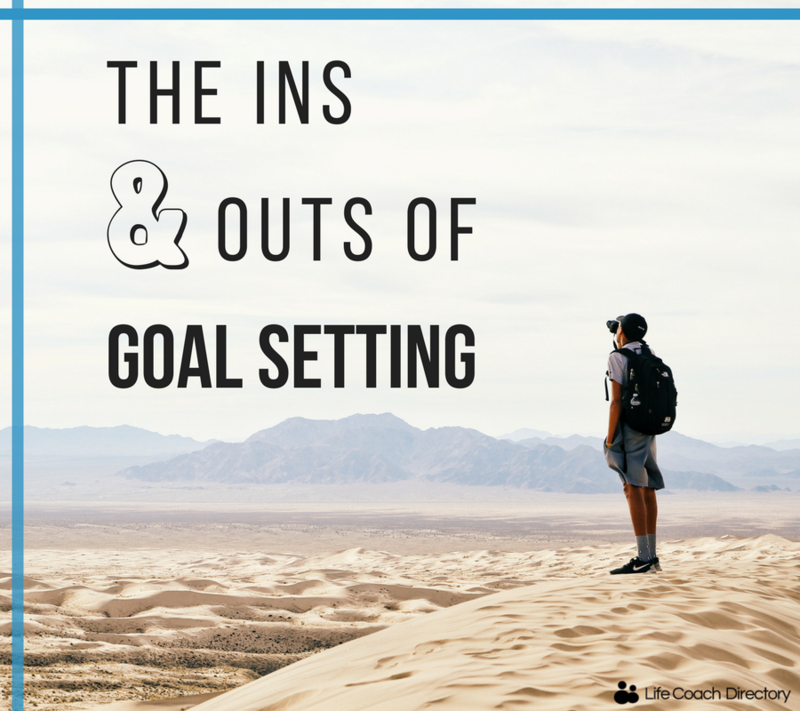 Goal setting is everything! Especially in this day and age because we are faced with countless distractions. Goal setting is the first step of the three pillars of success – ‘Goal Setting, Motivation and Action’. Without goal setting, your motivation and action could end up moving in the wrong direction – and what a big waste of time that would be! Without setting yourself goals, or more importantly, without setting yourself SMART-E goals, you are always going to find yourself lost amongst all of the modern day distractions. ‘SMART’ stands for: specific, measurable, achievable, realistic, timed. However, I like to add the ‘E’ – emotional. This is because, if you find an emotional attachment to your objective or goal, you are much more likely to pursue that goal with your full force and motivation. How can setting goals aid personal development? In regards to personal development, goal setting is paramount. This is because real, genuine, worthwhile personal development is not easy. Improving ourselves is something that everybody wants to achieve, but, when it’s difficult it can become stressful. And when things become stressful we procrastinate – which, for goals, is a death sentence. Is there anything to be mindful of when setting goals? 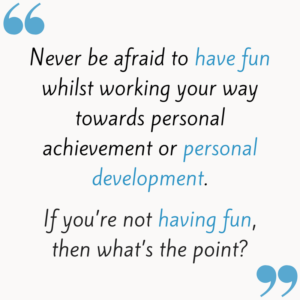 Never be afraid to have fun whilst working your way towards personal achievement or personal development. At the end of the day, we are human beings and we are not going to be around forever. 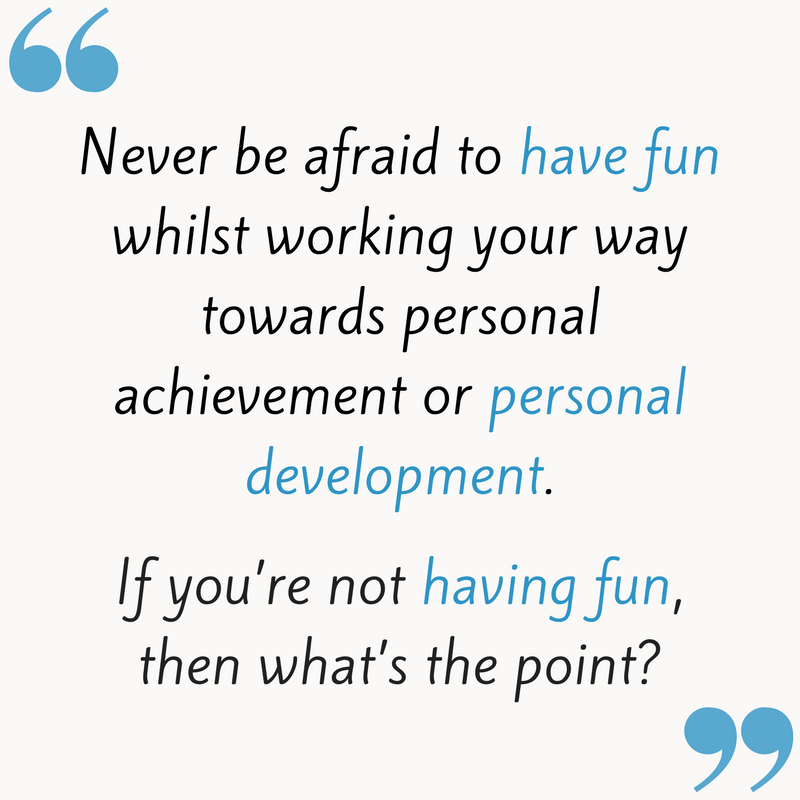 So, if you’re not having fun, then what’s the point? Personal development and goal setting don’t have to be a drag, allow yourself to be rewarded when you complete these tasks. And be sure to enjoy the process of reaching your goals – you will still get to the finish line and get the same end result, so why not have fun? When setting goals, how important is it to take stock of progress? Taking stock of progress is so important for all manner of things, but for me, it’s important because of rewards! If you don’t take stock of progress and reward yourself along the way, you will subconsciously lose all motivation for whatever it is you are trying to achieve. If you just punish yourself with hard work and no reward, your subconscious mind will say “hang on a minute, what’s the point of this!”. So, never ever underestimate the power of little rewards off the back of your progress – this is paramount! How regularly should we review progress? In regards to how often you should review your progress, it completely depends on the goal – for instance, is it long or short term? Instead of thinking about when you should review your progress, think about why you should review it. You should review it each and every time you complete a difficult task or you find yourself losing momentum. Reward yourself for all of your hard work up until that point and allow that to be the thing that restarts your momentum! What steps should we take if our goals are getting off-track, or initial goals are harder to achieve than expected? If your initial goal seems harder to achieve than expected don’t worry! Don’t be disheartened and do not give up. The answer to the problem is to break it down. Look at each stepping stone on the journey to what you wish to achieve and see if you can actually break down each stepping stone that is causing you heartache into yet more little individual stepping stones. For the most part, you are more than likely struggling with a task because that task is too big and it actually deserves to be lots of little tasks (in which you should reward yourself with a mini reward each time you complete one of those to keep you motivated).